In order to combat the growing trend of internet addiction among the populace, the South Korean government is releasing a free program that will limit the hours Korean gamers can spend on the internet. There are two computer programs being developed that will be made available to battle gaming addiction. One is a program that will shut down the computer outside of the predetermined times, and another designed to make the player increasingly bored and stop of their own volition, though how exactly it would cause players to become bored has not yet been revealed. These programs are completely voluntary but the government is also stepping up educational programs to fight gaming addiction, with the addition of government-sponsored counseling classes specifically tailored to game addicts. "Children start to play Internet games when they become fourth or fifth graders. They tend to be more attached to them as they grow up. Teenagers are under the control of their parents at home and are discouraged from accessing the Internet for long hours," Eo Gee-jun of the Korean Life Institute said. "Addicted adult gamers outnumber their teenager counterparts because the former are no longer under control of their parents." Korea is not the first to enact such measures. China already has a number of programs in place that limit gaming, such as programs that reduce the capabilities of your character in an MMOG if you've played over three hours. Generally, they have been considered a success, though China also has made these programs mandatory, which increases their efficacy. In Korea, three in ten adult gamers are addicted, while about 26 percent of youth gamers are addicted Gee-jun said. 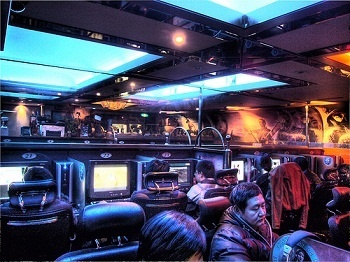 In South Korea, gaming addiction is considered to be a major social problem. These new measures will hopefully help, but as all the programs are completely voluntary, it does rely on the addict themselves admitting they have a problem and voluntarily seeking help, so how effective it will be remains to be seen.